If your budget is limited, the rules of the game will completely change. And the perfect way to invest your money is by buying the best recurve bow on the market. This one-piece recurve bow hasn’t changed its design for 50 years because there’s really nothing more to improve; it’s in the best design as it was the moment it was sold on the market. Let me enumerate the features of this beautiful bow. Its crowned, cut-on center arrow shelf covered with Bear Hair and leather side plate makes smoother draw and better arrow grip possible. 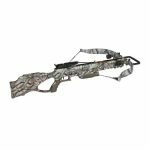 Its riser is made from hard-rock maple and its limbs are covered with a black fiberglass, thus making this bow extremely durable. Its satin gloss finish protects the bow by serving as a shield that lessens dampness and abrasion. It’s also strung with a dependable Dacron Flemish string, making this bow tough. To boot, it even underwent FutureWood which is known to be Bear’s manufacturing process that gives new physical properties to the wood in the handle section while keeping the beauty of the natural wood. This 58” recurve bow is certainly the best recurve bow on the market. Depending on the draw weight you choose, this is priced between $400-$500. 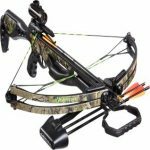 Though the accessories for this one are limited, at least you will be satisfied with the performance and you won’t have to deal with returning the bow because of factory defects. It’s also not a takedown bow, which means the limbs are fixed but really you don’t need to replace your limbs with the overall gratification it provides. To maximize the 60lb. draw weight, though, you need to bulk up especially if you’re in a small frame body. But that’s not really a con. 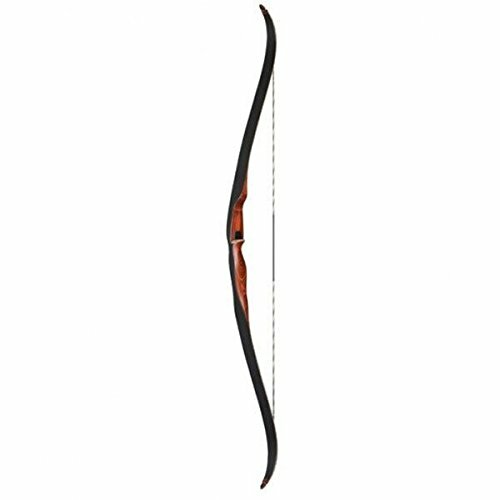 The right-hand models of this bow are available with 30, 35, 40, 45, 50, 55, and 60 lbs. of draw weight, while the left-hand models are available with 45, 50, and 55lbs. of draw weight. With its minimalist and lightweight design, it has attracted countless archers for 50 years. The grip on this one is impressively comfortable. The draw release is as smooth as butter and the entire bow is greatly built you won’t experience even the slightest hand shock when the arrow is released from the string. 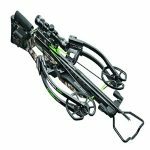 Truly, Bear Archery has proven their worth with this top-of-the-line bow. Now let’s talk about the grip. It has a high-quality look that will offer absolutely no palm blistering. The grip on this one fits medium- to large-sized hands, perfect for most adults. It’s a wooden one-piece recurve, so there is no thermal padding around the grip. It won’t really matter unless you hunt during winter or cold weather. The outer layer of its riser is coated which is perfect for different weathers. Some customers prefer the riser to be longer, but as for me, it’s perfect. It’s just a matter of personal preference. The limbs, on the other hand, will accept any string you prefer, even FF Flemish strings. The included Dacron string would last after 12,000-15,000 release depending on how you shoot and how often you wax the string. Use FastFlight strings with this one if you want to go for the fastest and quietest shots. A bow stringer doesn’t come with the package so you must purchase it separately. If you’re asking if the Grizzly bow is great for hunting, then yes, it is. When it was still legal to hunt Grizzly bears in the U.S., the 55 lbs. version of this one was successfully used. You have to remember the following, though: if you want to hunt for deer, at least a bow with 40lbs. draw weight is needed, if you want to take down an elk, go for at least 45 lbs., and if you wish to harvest the largest game such as a grizzly bear and an ox, then go for a bow with at least 55 lbs. of draw weight. 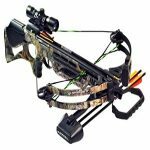 What’s great about this recurve bow is that its short 58″ length and light weight of 2.2 lbs. make it extremely comfortable to carry and navigate during a hunting trip. 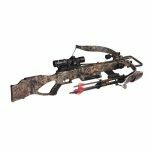 With regards to accessories, however, the Bear Archery Grizzly is only drilled for an arrow quiver which means you cannot install a sight or stabilizers. You may opt for those that can be taped on, but they will affect the accuracy of the bow so it’s better to keep it simple as it prefers to be. I assure you, you can still get consistent shots without adding the two. Some beginners may not prefer this because the limbs are irreplaceable, which means if you want to increase or decrease the draw weight, you actually have to buy an entirely new bow. But nonetheless, you can never go wrong with this one. If you don’t believe me, then at least trust the customers whose rating averaged to 4.9 out of 5. Not quite sure which kind of bow to go with yet? 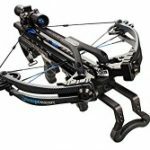 Check out our recurve bow top picks.